These factors can help dictate the promotional product you choose and how to implement the marketing strategy. For example, if you weren’t aware that your target market consists of primarily women, your promotional product may or may not hit the mark. If your market is young professional men, it would be helpful to know if they’re high income, middle income, or low income buyers. There’s more to your target market than demographics (see the list above). While gender, age, and occupation are important, your promotional product marketing strategy will fall flat without consideration of factors like lifestyle, values, attitudes, world views, and opinions. These metrics are more difficult to quantify than demographics; however, they are no less important. For example, a target market that values organic and GMO-free products will also hold dear eco-friendly products. 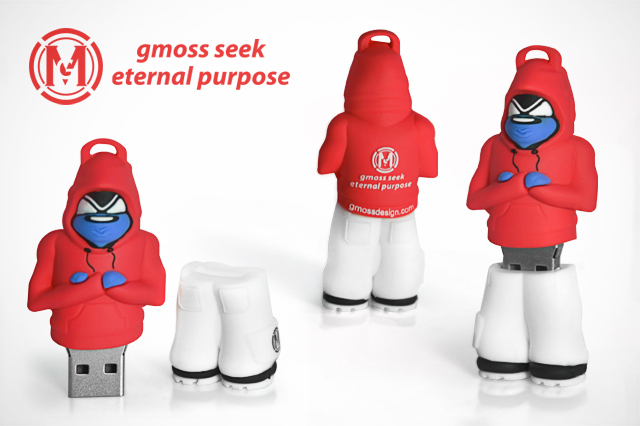 In this case, a custom USB or a pair of custom ear buds that is constructed from environmentally friendly and renewable resources will get this audience to respond to your brand, increasing its awareness as they keep your product around the home or office. Need to sell lemonade? Your audience should be thirsty. Want to hock high-end jeans? Your audience should value luxury items. Looking to market a technical product? Your audience might be tech-savvy. The point here is that whoever your target market is, they should be already “sold” on your product. That’s the beauty of identifying the right market. When you have the right target market for your business, you don’t need to convince people to buy. You won’t have to cajole people into trying your product. They will already be looking for, and willing to try what you have to sell. Conversely, this can make a promotional marketing strategy fail. Aim your arrows at the wrong target market, and they’ll turn their backs to your brand – regardless of the promotional product you’re using. Because they’re not interested, plain and simple. The wrong target market is not just people who don’t fit your demographics or psychographics. The wrong market also consists of people who can’t buy from you, or who aren’t willing to buy from you. A good example of this kind of crowd is children or teenagers. They may really want your product, but the parents hold all of the purchasing power. An effective promotional product marketing strategy therefore should directly target the buyer. In this case, it’s the children, but more importantly, their parents. After you’ve identified your target market, consider whether it’s large enough to accommodate your business. Is the market crowded? Does your business offer a competitive edge that other existing businesses don’t? How will you make headway in this narrow market? Will there be enough leads and prospects upon which you can build your business? By targeting a small target market, you’re essentially limiting your revenue potential before you sell a single product. Consider strategic ways to expand the market, by upselling or cross-selling products, or expanding the market to include a broader range of consumers via wider demographics and psychographics. Geographical location, for example, is one demographic that’s easy to enlarge, especially if you can physically ship the products you’re selling. How to Fast Track Your Strategy? When the results of your strategy analysis show a future that’s less than bright, it’s time to reevaluate your marketing strategy. Take some time to review the kinds of customers you’ve had in the past and present who respond to your products or services. Consider the demographics of repeat customers, customers who buy the most from your businesses, etc. Identify common traits and begin building a profile. You can also build this profile from the outside-in. Think about the customers with whom you enjoy working or speaking to on the phone. What sets them apart? Are they easy to work with? Do they require little effort to sell? Do they recommend your business to others? Identify these customers and create a list of common traits among them. As you’re building this profile, don’t worry about who doesn’t fit the bill. Other types of customers may continue to be drawn to your business, and of course, you should still sell to them. Your new target market profile will help build your new marketing strategy so that it targets the right people, at the right time, and with the right promotional products. There’s more good news: You don’t have to limit your business to one target market. Once you’ve completed the exercise, start all over again and build a second target market. The key here is knowing how each market differs and what makes your customers tick. In that way, you can then choose promotional products, marketing channels, and messages that will hit home with these audiences – and ultimately, get them to buy your products and services. With a fast-tracked marketing message, your business will drive revenue, convert leads and build a thriving organization that’s confidently claimed its share of the market.